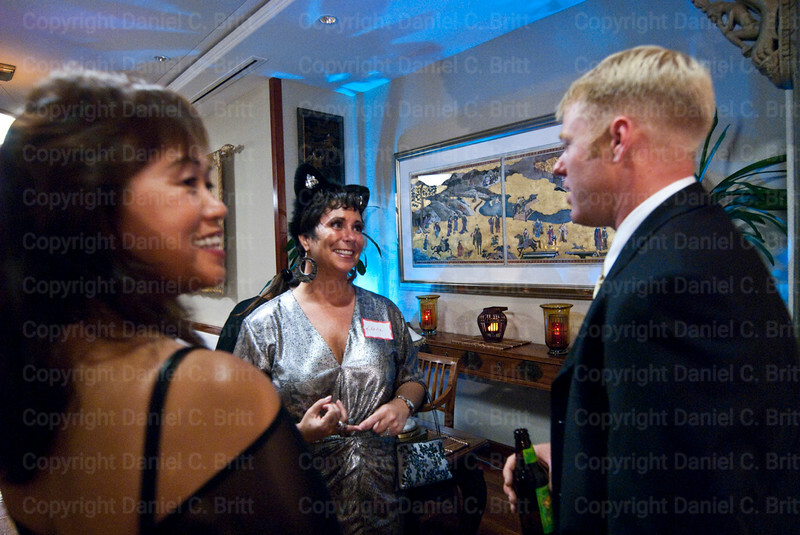 The world's first cougar convention took place at Dinah's Garden Hotel on Friday, August 28, 2009 in Palo Alto, CA. 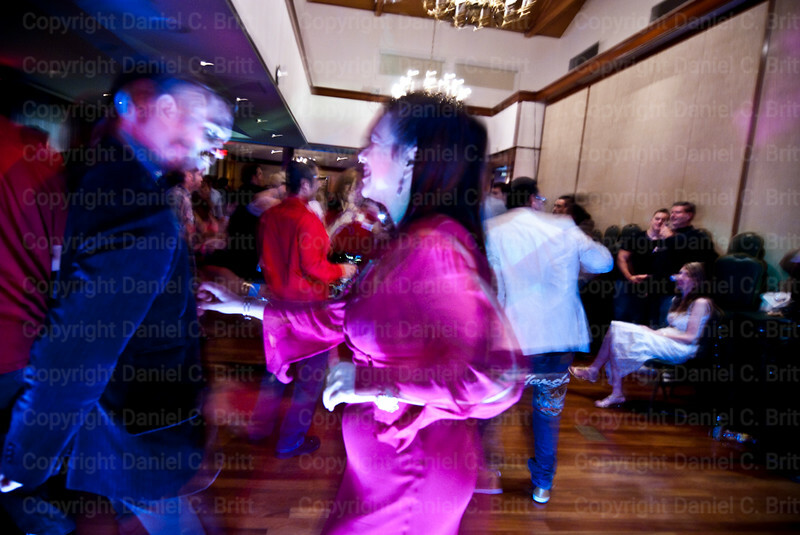 Over 300 women who openly identifiy as "cougars" (or -- according convention organizers -- single women over forty who desire younger men) arrived in a mix of evening dresses and mini-skirts. By contrast, the male attendees were generally under-dressed, undergraduates from nearby Stanford University and the local community colleges. The guys were a acne-plagued mix of pizza delivery boys, computer nerds and fledgling hip-hop artists. Fortunately, what the young men did for a living, how they dressed or how they spoke didn't matter much. 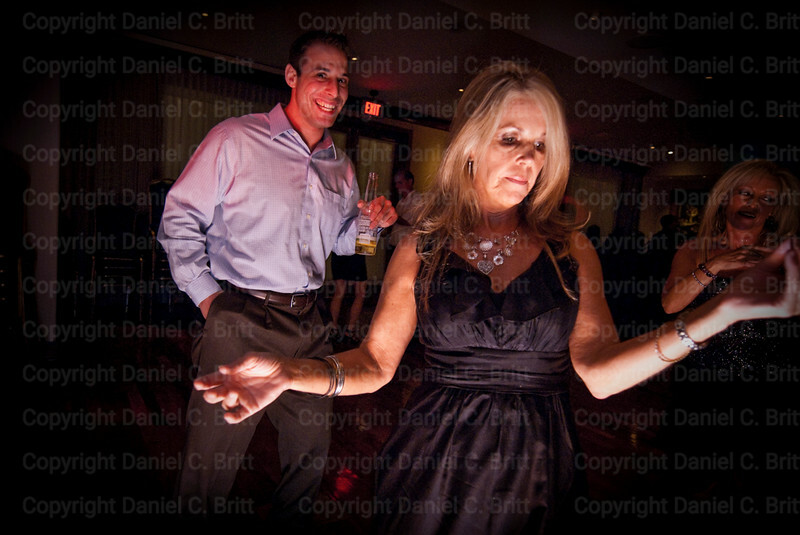 Every one of them was quickly peeled from the wall and led onto the dance floor by an experienced older woman. Women apply make-up and practice smiling in the mirror before returning to the dance floor at the Cougar Convention at Dinah's Garden Hotel in Palo Alto on Friday, August 28, 2009. A much younger man smiles hungrily at Aniq, a belly dancer from Santa Clara, at the cougar convention, held at Dinah's Garden Hotel in Palo Alto on Friday, August 28, 2009. 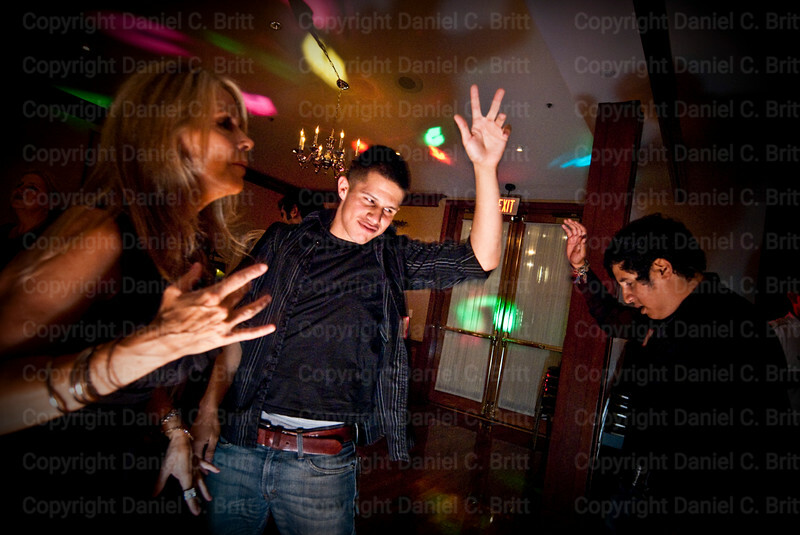 Henry Miller, 25, of Palo Alto, dances with Anna Randall, 54, of San Francisco, at the cougar convention at Dinah's Garden Hotel in Palo Alto on Friday, August 28, 2009. 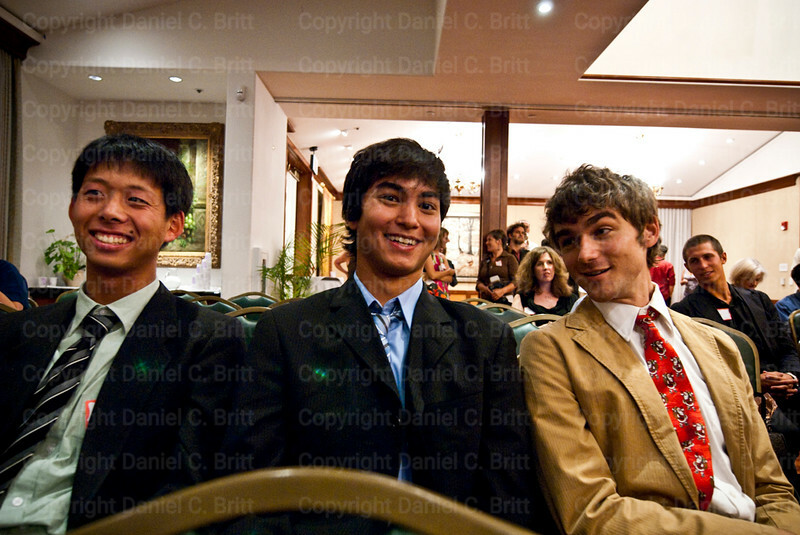 L-R, John Chen, 24, of Palo Alto; Stanford Graduate Student Ed Sugarman, 22; and Dallas resident Ian Williams, 23, discuss the best way to approach a cougar during the lecture on healthy relationships that opened the cougar convention at Dinah's Garden Hotel in Palo Alto Friday, August 28, 2009. L-R Santa Clara belly dancer Aniq, over 40, and Sunnyvale residents Leo Talley, 22, and Mario Junior, 20, feel the music at the cougar convention in Palo Alto on Friday, August 28, 2009. Kushal Shah, 25, of Santa Clara, sits between Theresa Davis, 56, of San Jose, right, and Aniq, a Santa Clara belly dancer who said she was "well over forty." Gloria Navarro, 42, of Redwood Shores celebrates after winning the title of Cougar Queen at the cougar convention held on Friday, August 28, 2009 at Dinah's Garden Hotel in Palo Alto. Navarro said she is writing an instructional book for soccer moms on how to be a successful cougar. Forty-two-year-old comedian Leslie Lang of San Jose, center, chats with Eric Hollister, 33, of Palo Alto, while wearing cat ears at the first cougar convention at Dinah's Garden Hotel in Palo Alto on Friday, August 28, 2009. Leslie Lang, 42, of San Jose kisses Eric Hollister, 33, of Palo Alto, while wearing cat ears at the cougar convention held at Dinah's Garden Hotel in Palo Alto on Friday, August 28, 2009. Forty-two-year-old comedian Leslie Lang of San Jose, left, kisses Eric Hollister, 33, of Palo Alto, while wearing cat ears at the first cougar convention at Dinah's Garden Hotel in Palo Alto on Friday, August 28, 2009. British cougars Rita Sangha, 39, and Bea Cameron, 45, pose for a photo at the cougar convention at Dinah's Garden Hotel in Palo Alto on Friday, August 28, 2009. British cougar Bea Cameron, 45, shows off her tongue ring at the Cougar Convention in Palo Alto on Friday, August 28, 2009. Gloria Navarro, 42, of Redwood Shores chats with members of the press after winning the title of Cougar Queen at the cougar convention held on Friday, August 28, 2009 at Dinah's Garden Hotel in Palo Alto. Navarro said she is writing an instructional book for soccer moms on how to be a successful cougar. Leslie Lang, 42, of San Jose kisses Paul Johnson, 20, of Mountain View while wearing cat ears at the cougar convention held at Dinah's Garden Hotel in Palo Alto on Friday, August 28, 2009. 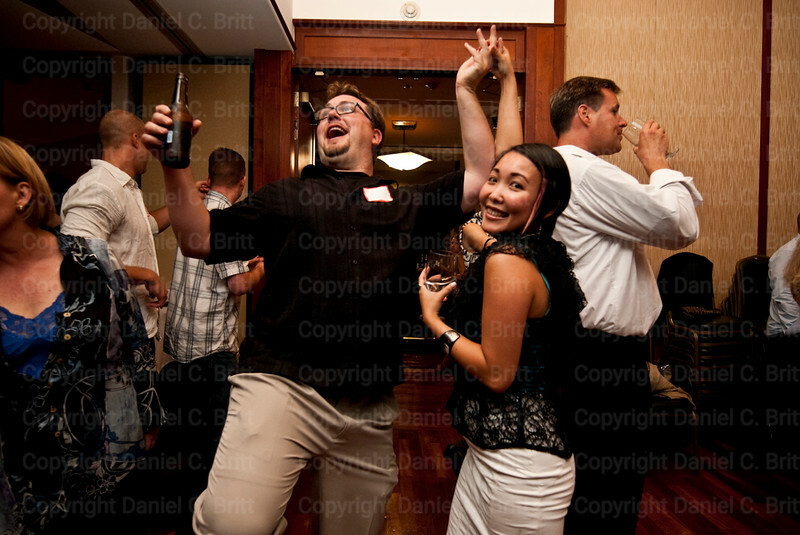 Mike Hamblin, 29, of Mountain View, dances with Lan Pham, 40, of San Francisco, at the cougar convention held at Dinah's Garden Hotel in Palo Alto on Friday, August 28, 2009. Women count the number of tokens given to them by young men at the Cougar Convention on Friday, August 28, 2009 in Palo Alto. The woman with the most tokens wins the title of Cougar Queen. 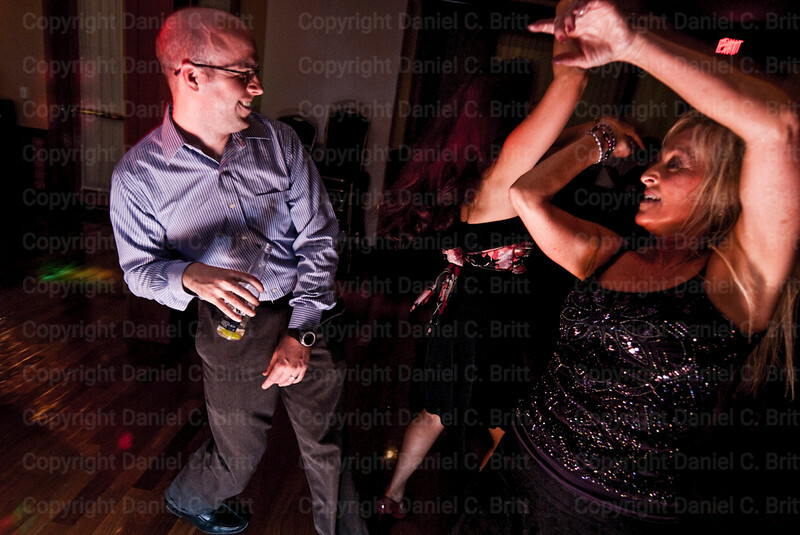 The dance floor heats up at the cougar convention at Dinah's Garden Hotel in Palo Alto on Friday, August 28, 2009. British cougars Rita Sangha, 39, and Bea Cameron, 45, take in a lecture on healthy relationships at the cougar convention at Dinah's Garden Hotel in Palo Alto on Friday, August 28, 2009.